“This marks the second year for the Atlantic Canada wine competition mounted by the regional chapter of the Canadian Association of Professional Sommeliers. Once again, I was a member of the judging panel drawn from the association membership. A total of 92 wines were submitted. All entries were tasted blind by the judges, in accordance with professional wine competition standards. 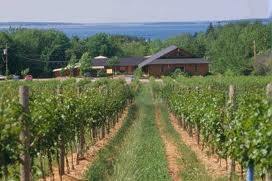 The six Nova Scotia wineries earning gold were Annapolis Highland Vineyards, Domaine de Grand Pre, Gaspereau Vineyards, Jost Vineyards, L’Acadie Vineyards and Sainte-Famille Wines.